GEEZER - Rock & Roll Band! Geezer returns to Joyce's Tavern, Staten Island, NY on 04/20/19....click on "Gigs" for more info! Play air guitar with Geezer and win a t-shirt or hat. 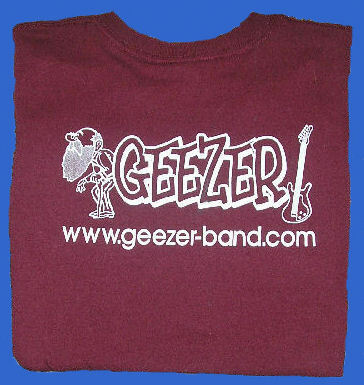 Welcome To The Official "Geezer" Web Site! Patrice (Vocals/Percussion), Mick (Bass/Keyboard/Harmonica/Vocals), Matt (Guitar/Bass) Vinny (Lead Guitar) and Billy (Drums/Vocals). Great renditions of White Rabbit (Jefferson Airplane), Chain Gang (Pretenders), Harden My Heart (Quarterflash), Black Velvet (Alannah Myles), Born To Be Wild (Steppenwolf) and others!